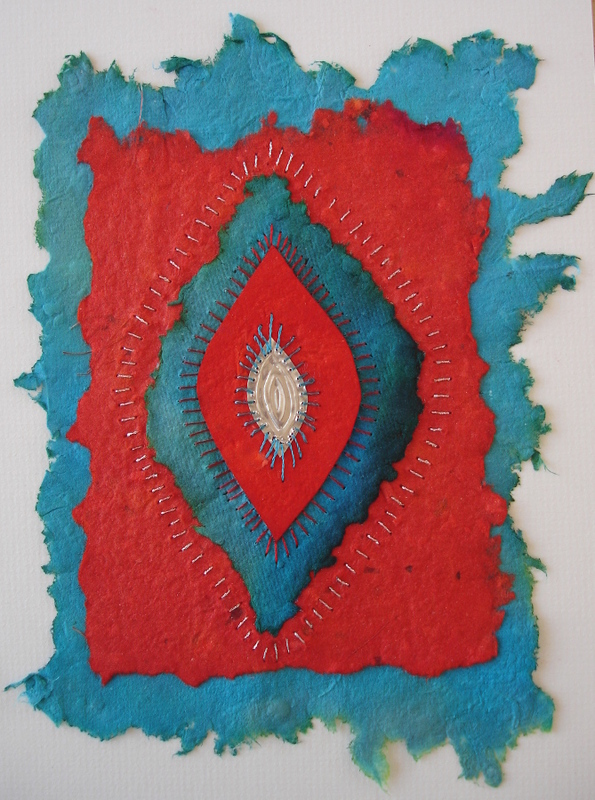 Hand-made paper, dyed with Procion, hand-stitched. 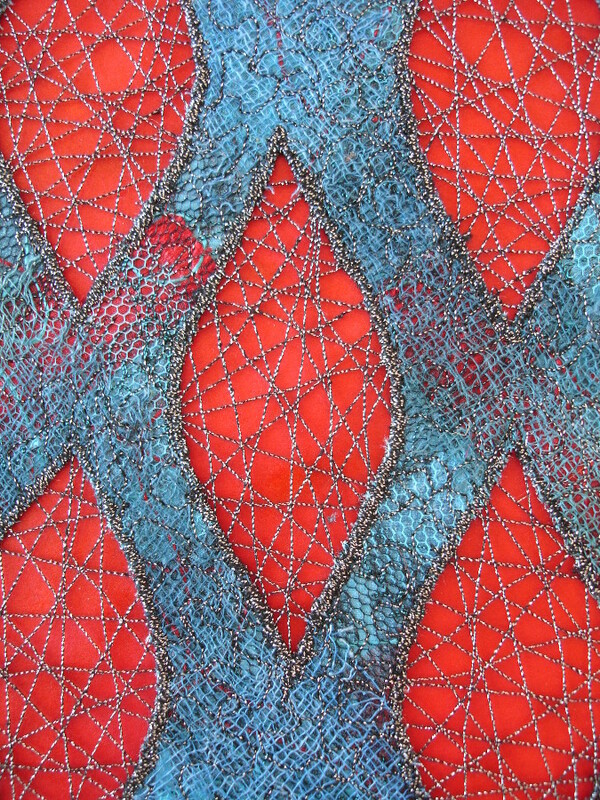 Machine-stitched ‘sandwich’ of threads and fabrics. 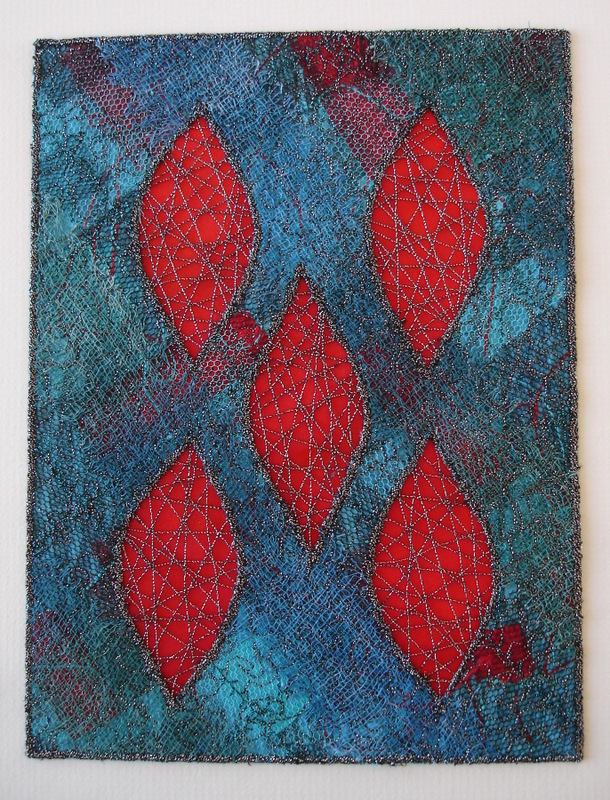 Machine cut-work with machine-stitching over voids. 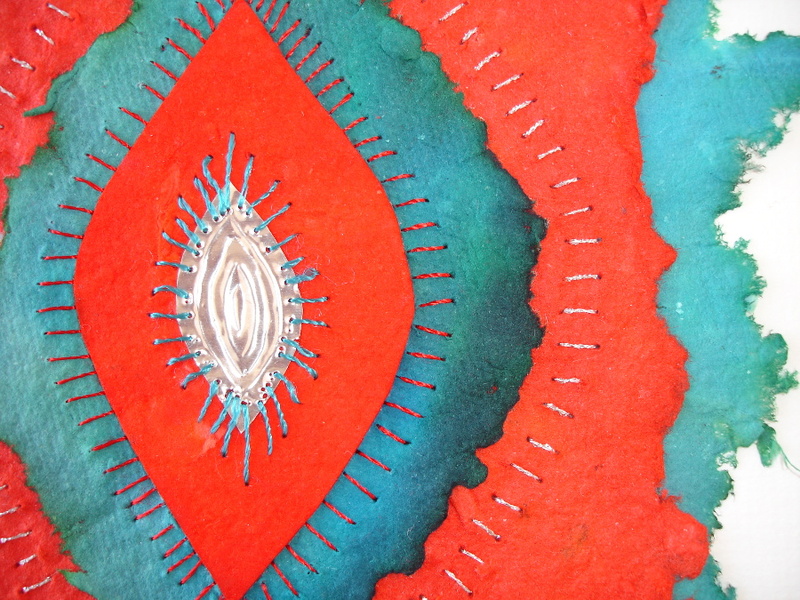 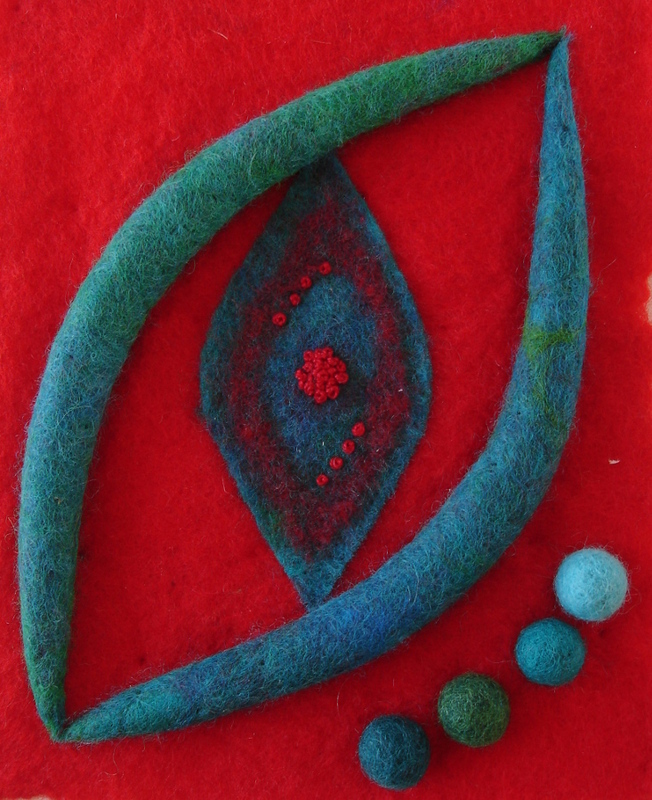 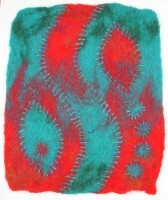 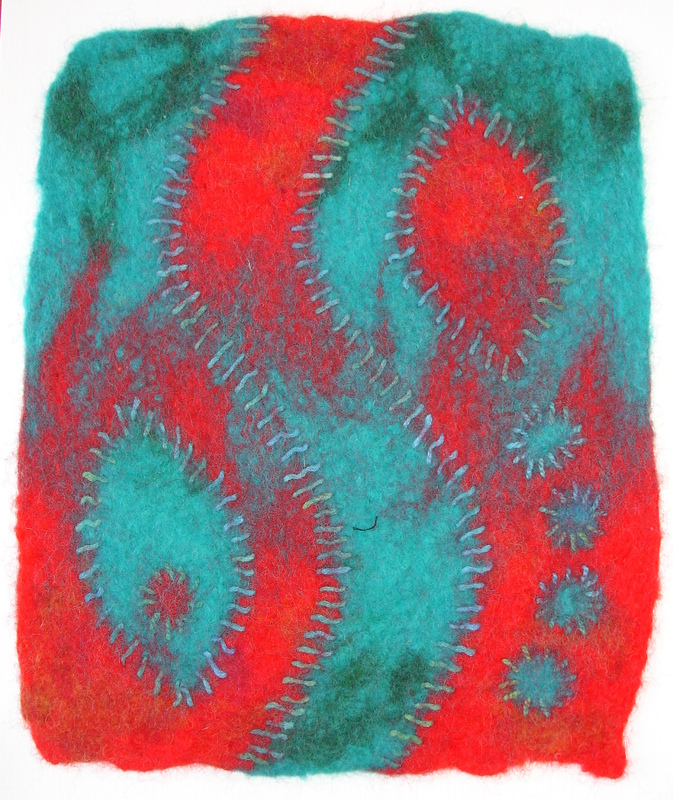 Hand-made felt, cut and re-assembled, stitched and re-felted. 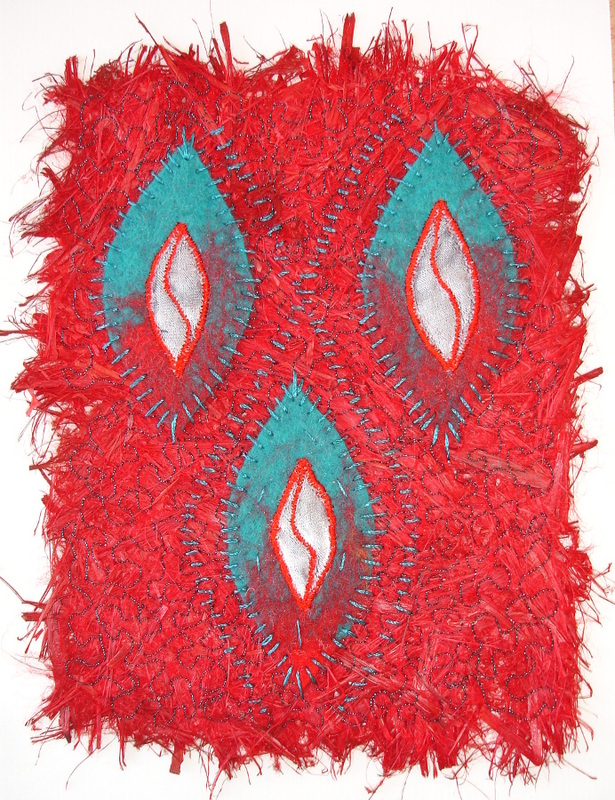 Nuno-felt with silk chiffon, stitched on the back with the machine tufting-foot and hand-seeding. 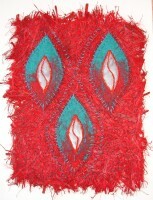 Backing of laminated straw, machine-stitched. Hand-made felt. 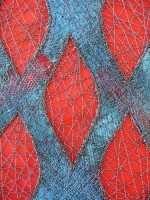 Machined ‘sandwich’ of threads and fabrics. 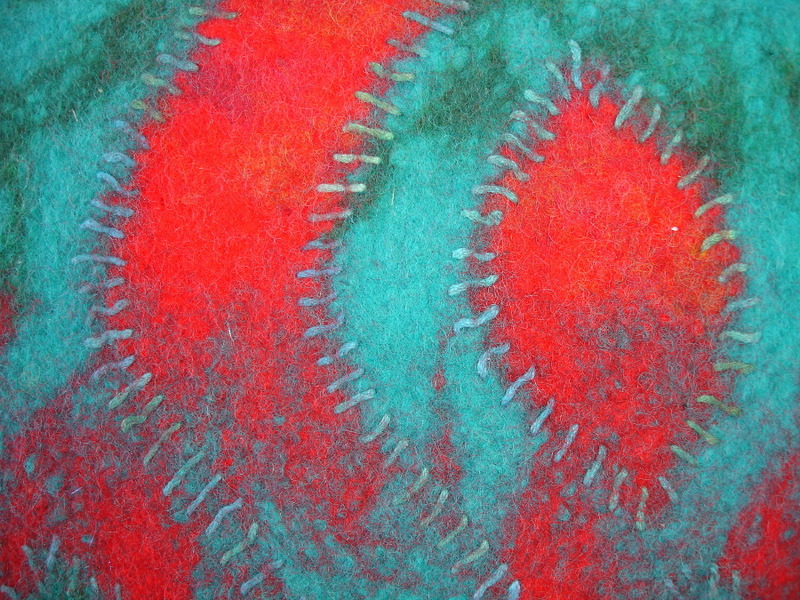 Machine cut-work with machine-stitching over the voids. 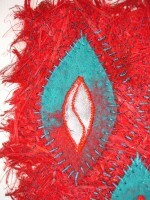 Backing of laminated straw, machine-stitched and dyed with Procion. 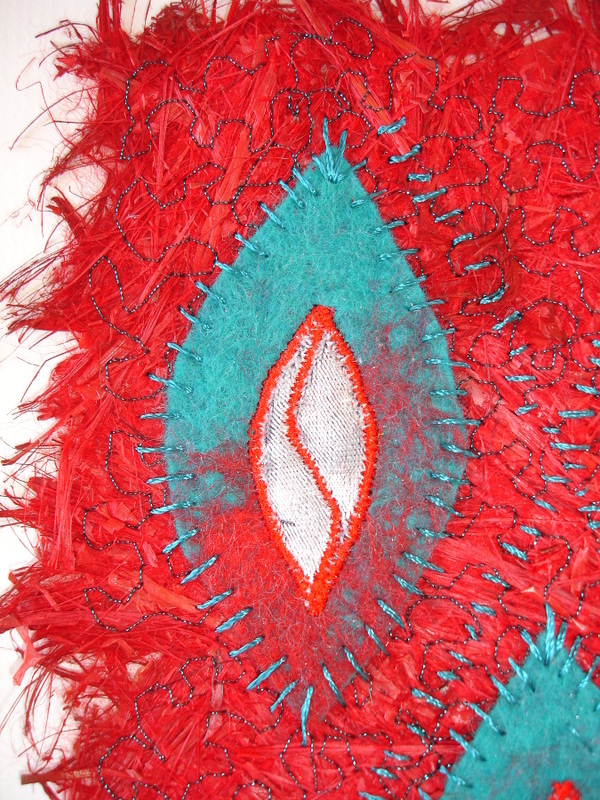 Nuno-felt on silk chiffon, stitched on the back with machine tufting-foot and hand-seeding. 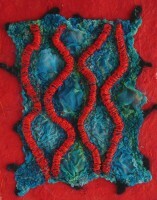 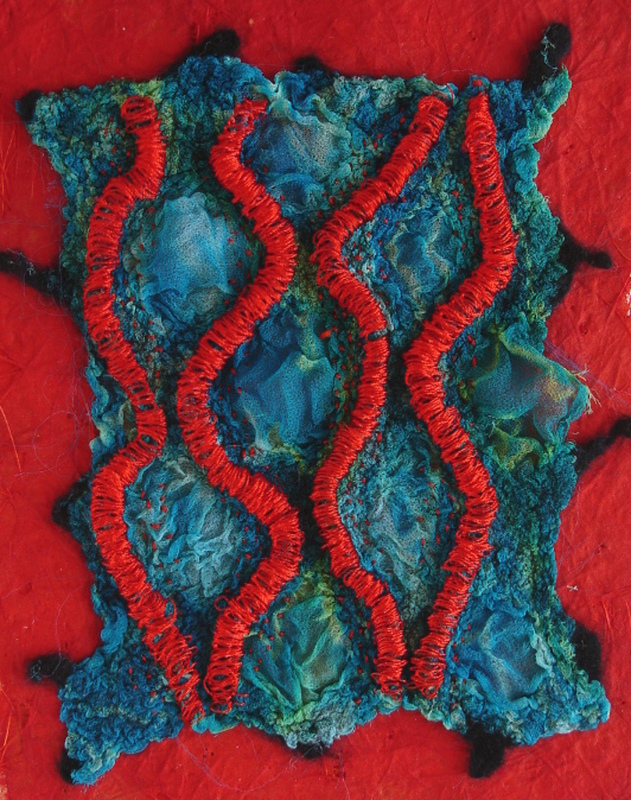 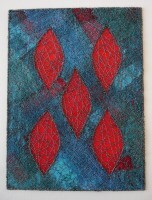 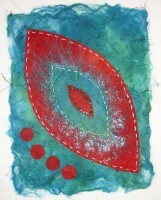 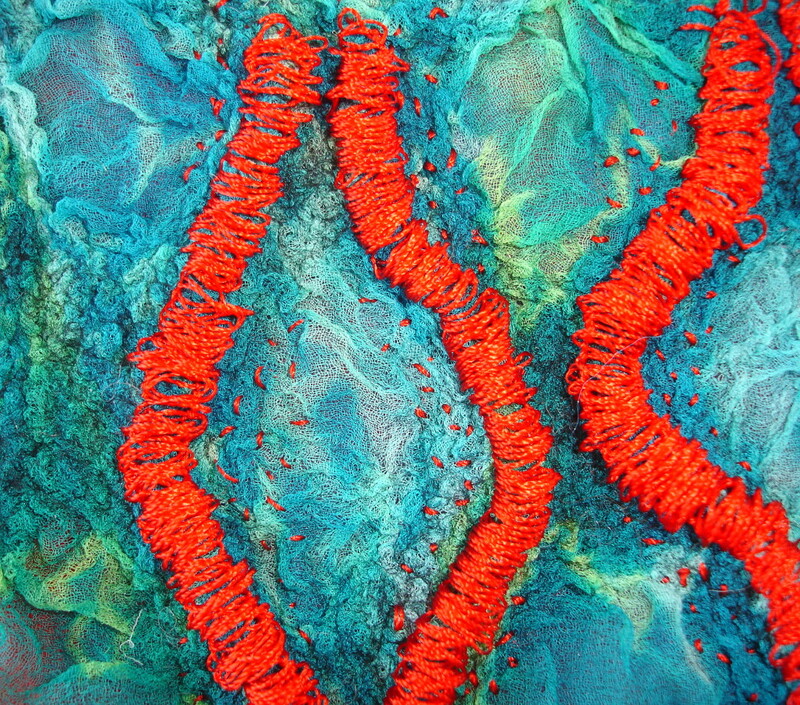 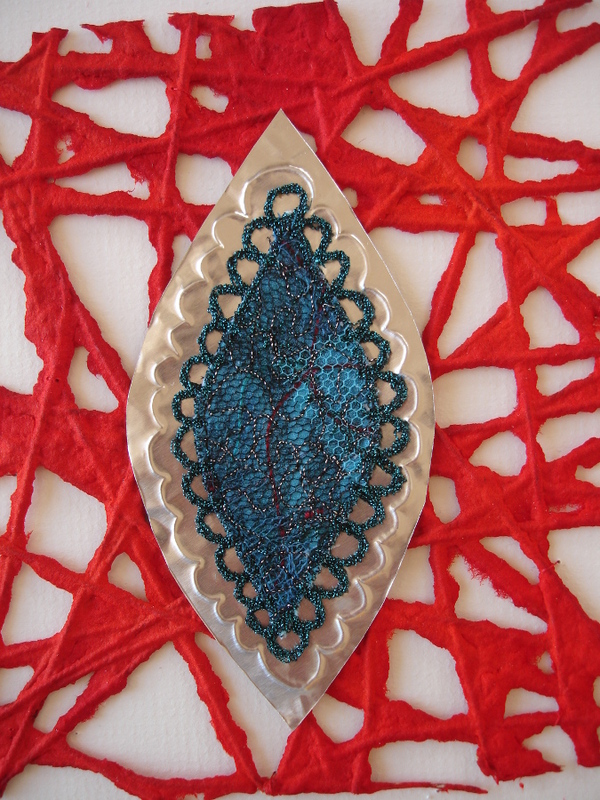 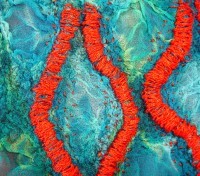 Machine-stitched ‘sandwich’ on background of paper pulp and string.